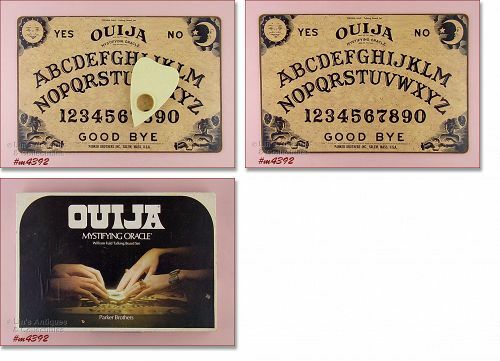 This listing has “The Muffy Pin”! 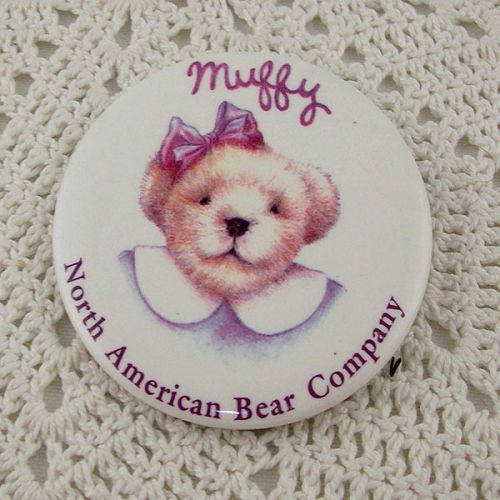 This pin was a special limited item that was given out at Muffy personal appearance events and is not an item that could be purchased. 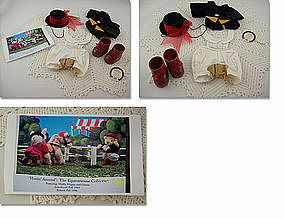 This is a neat collectible item – a Boyd’s Bear made for Longaberger! 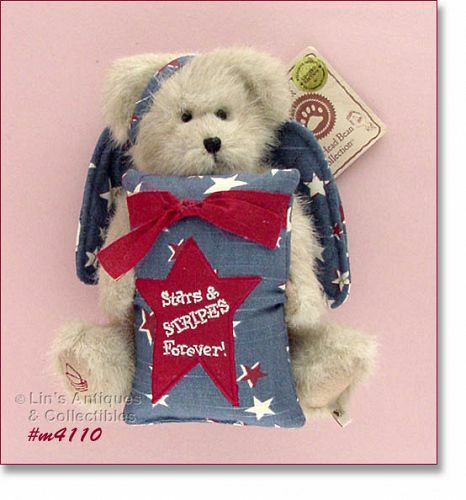 This is an angel bear and is in new condition with the original hangtag identifying her as “Starr Bearyproud”. Cute! This is a super Santa candy container! 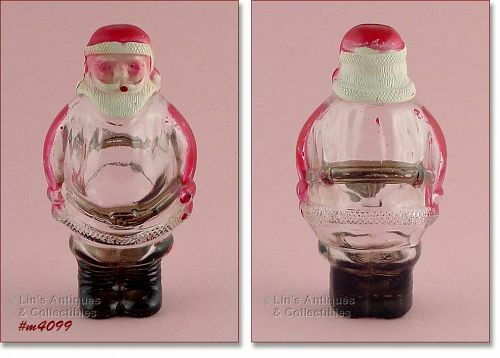 Santa is in wonderful condition -- has some minor color loss to his arms and boots. 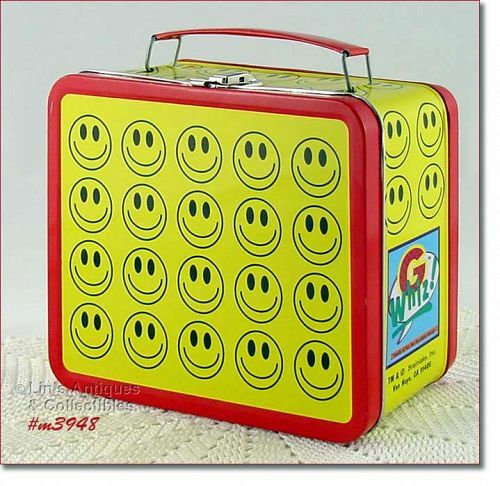 This candy container was originally produced with red arms, black boots and belt, and white “fur” – it did not have all-over color. 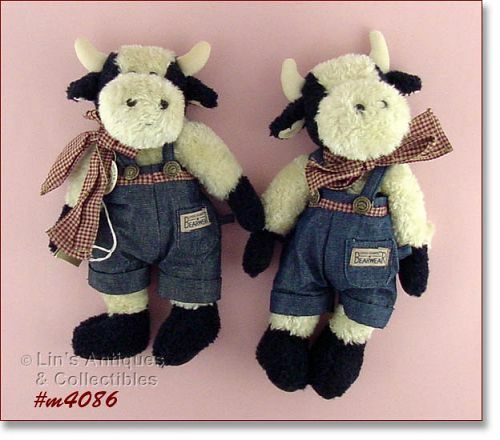 These cows were so cute that I couldn’t resist purchasing them at a sale in Indiana! 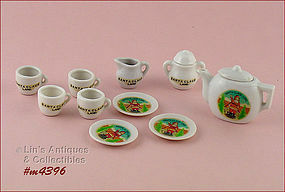 They measure approximately 10 ½” tall and are in excellent condition (one is missing the original paper tags). 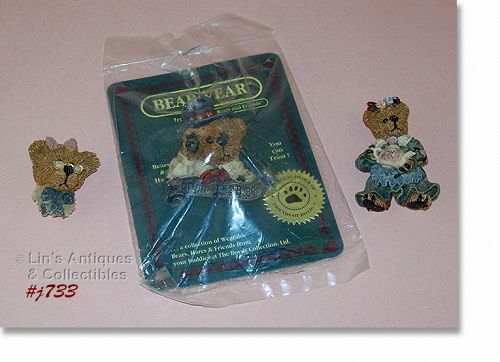 Per the tag, these are from Boyd’s Bears “Chairman of the Board” line. 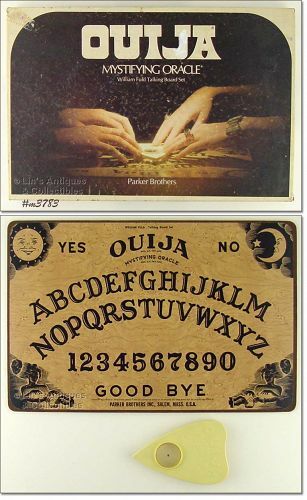 Super neat items! This bottle of “Tweedie” toilet water is approximately 2/3 full! 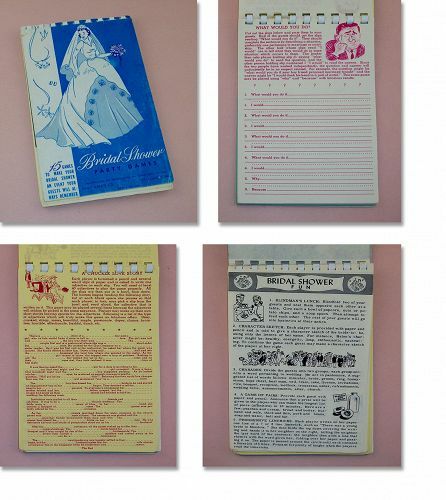 Front of label states this is “Tweedie, Toiletries for Little Girls”. 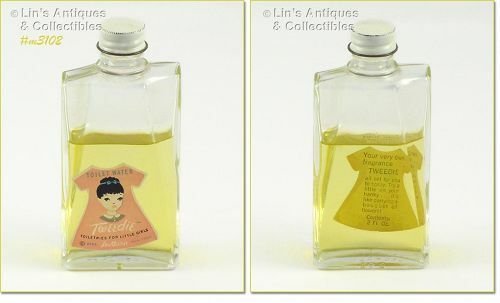 Back of label states “Your very own fragrance … TWEEDIE all set for you to spray. 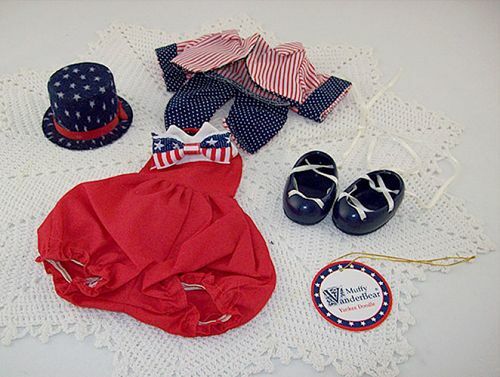 Try a little on your hanky … it’s like carrying a bouquet of flowers!” This is a 2 oz. bottle (now 2/3 full) and it is not a spray, and you know what? It does have a pleasant floral fragrance! Uncut paper dolls by Tom Tierney! 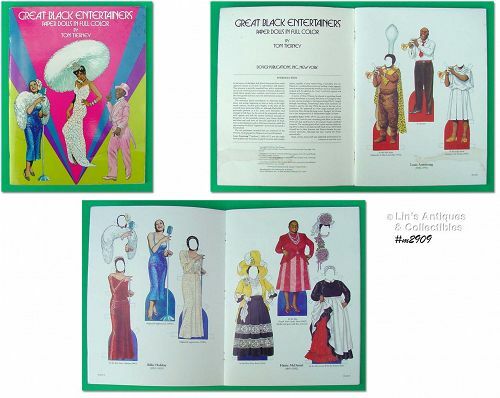 The paper dolls are in book form published in 1984 and the paper dolls are “Great Black Entertainers”. 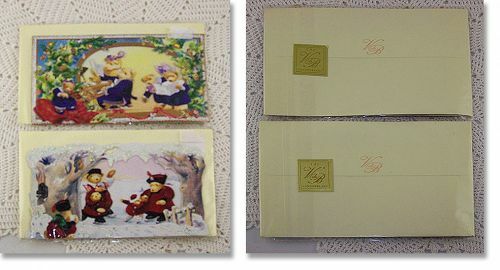 In wonderful condition – looks like cola spilled on the first page (see photo) – that’s it! Priced to reflect imperfection.